From the name itself it attracts tourists towards it and when they reach here, they simply fell in love with it. Let us clear that we are mentioning about the Silent Valley, near Munnar, Kerala and not about the Silent Valley National Park located in Nilgiri Hills, Mannarkkad, in the Palakkad District of Kerala. Both of these are two different places but equally eye-catching. 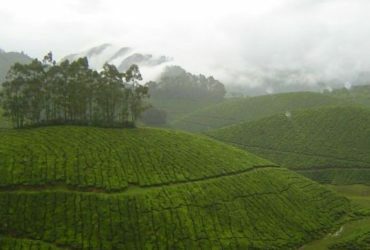 The Silent Valley is a stunning green landscape and named as it is found inside the Silent Valley Tea Estate. 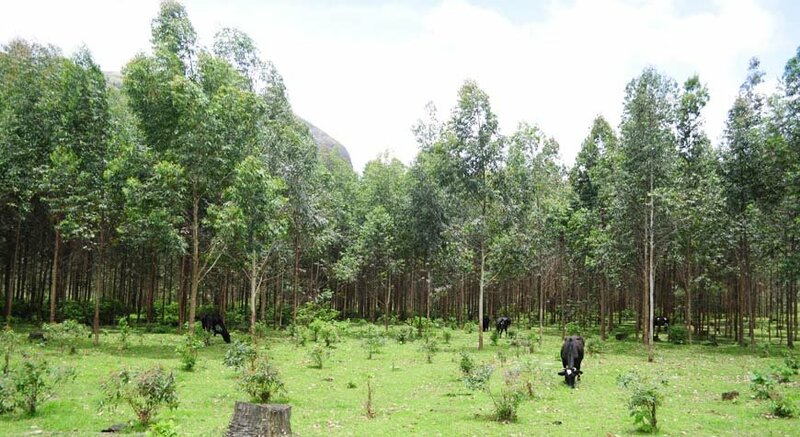 While your visit to the Silent Valley you get to see green landscape with mountains and Eucalyptus forests. On the right side notice the second highest peak in South India – the Meesapulimala. It is a cold rivulet flowing amid the landscape. The soothing view of buffaloes’ and cows’ grassing would force you to stay here for a longer time than planned. Mollywood’s favorite shooting spots is this valley and have featured in various south Indian movies. 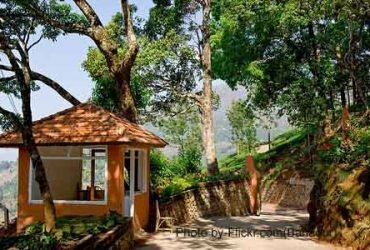 On your drive to the Silent Valley you would witness the best picturesque exquisiteness of tea farms and rising and falling hills. Another attraction of this road is the wild elephants roaming freely and quietly. If you happen to be lucky enough, you can also see them crossing the road. 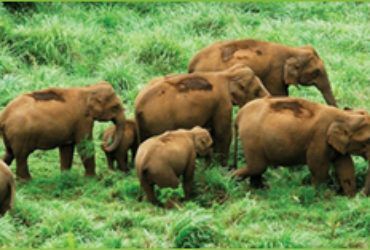 There are a few tour operators in Munnar who offer a “Night Jeep Safari” to see wild animals on the same road. Normally, tour agents do not include this place in their sightseeing itinerary because it takes nearly half of the day to visit. Also you would need to walk approximately 3 to 4 kms around. 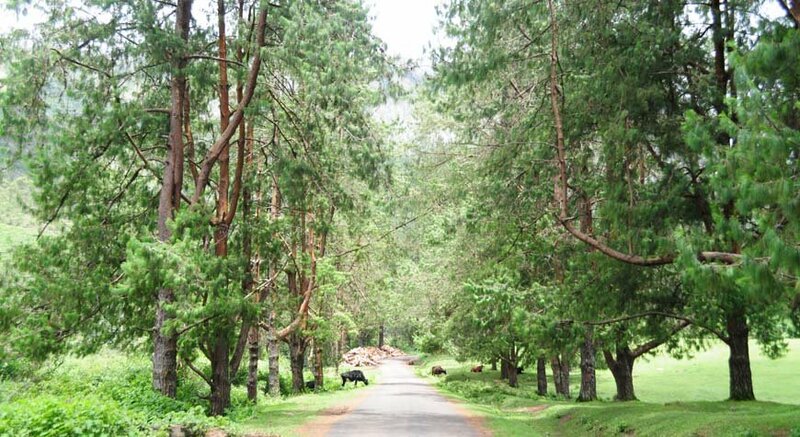 Silent Valley is 18 kms by road from Munnar town on Mattupetty road. It takes nearly 1.5 hours by a car and may need forest department permission as well. After 4 kms of drive, you would see a gate and some security persons of the tea estate. There is no pass required from Munnar forest office to visit this place. Though there is no such requirement of a security pass to be shown. Ask them to open the gate and move ahead. After driving ahead around 14 km there is another gate. Please note; up to this gate only you are permitted to take your personal or hired car. Begin your walk for another 2 kms from here to reach the attractive mountain side. As it is a valley with tea farms and various other plantations, you would not find any sort of adventure sports here to take on. All you can do is capturing the lovely landscape, high mountains, and a flowing river in the middle of the grassland and Eucalyptus trees. 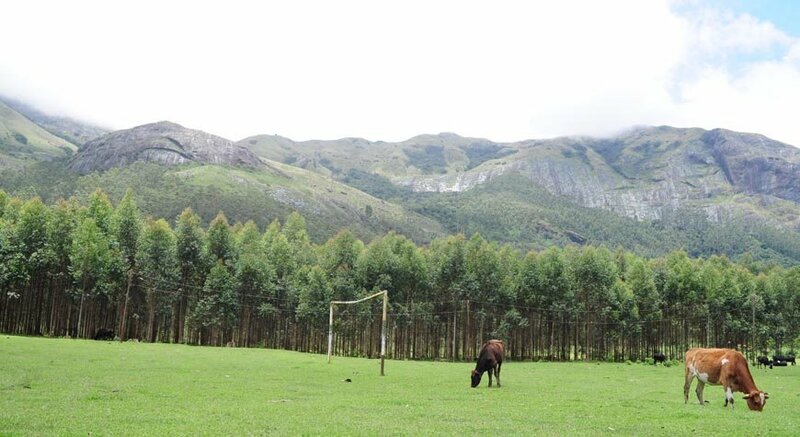 Inhale the fresh air and relax on the fields. Silent Valley is not suitable for visiting during monsoon i.e. June and July as the land will be flooded with water. 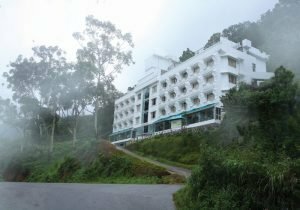 If you are going for trekking at Meesapulimala, you can visit this place. If you are coming for a full day excursion note that there is no restaurants available other than a small tea shop. Carrying plastic items, cooking food is strictly prohibited.